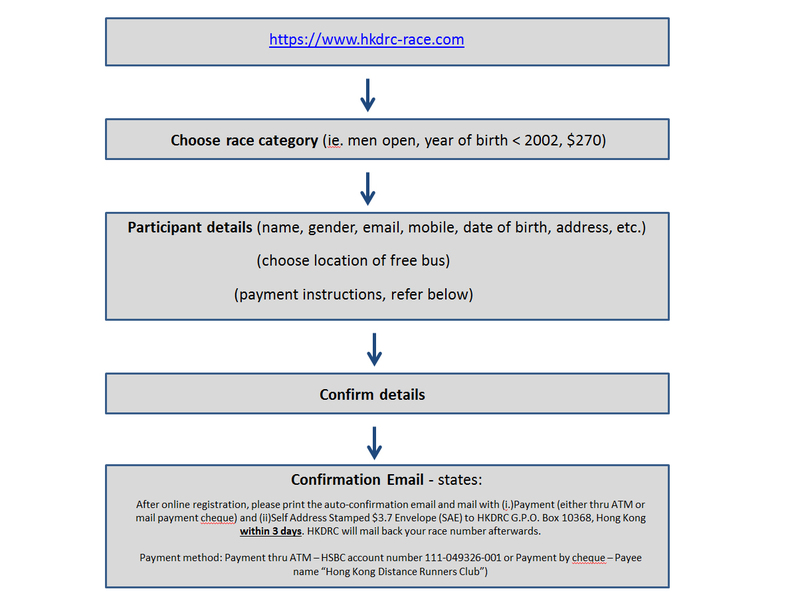 The HKDRC – XTRA8 40th Green Half Marathon 2018 confirmed to be held on 18 November 2018 is opened for public application. The entry quota is set for 1100 and the course route is “ Zero Carbon Emission “ ( traffic free ). - By Post HKDRC G.P.O.Box 10368, Hong Kong (sameday on 1 August 2018, download entry form from www.hkdrc.org (download corner section) or www.xtra8.com). **NOTE: Due to a technical problem, the scheduled date for online registration has been deferred the commencement from 1 August to 10 August 2018. This doesn't affect the application by mail. We are sorry about that. You are advised to submit your entry applications as earlier as possible. The time limit for your completion is 2hrs 30mins ( i.e. 7:00am – 9:30am ). There are 4 shuttle bus stations locate separate at Hong Kong side, City Hall, Central, Tin Hau MTR Station ( Exit A2 ), Kowloon side, Tsimshatsui, Hankow Road and Kowloon Tong MTR Station ( outside Exit at Somerset Road ). The provision of seating is first come, first served for those early registered participants. Two large companies, Fringebacker Events and Iban Sports Development Ltd., are employed for handling the online registration and timing ( Chrono Track b-tags ) for the recording of race results. Green Work for Green Race – We are moving forward to support waste reduction and recycling at the community level. We will coordinate with Xtra8 Natural Mineral Water – Live & Love Group Ltd., team to collect back the plastic water bottles from runners at the race venue. The collected plastic water bottles will be delivered to the Community Green Station ( CGS ) 綠在東區 at No. 30, Oi Shun Road, Shau Kei Wan, Hong Kong for recycle. Updated status of registration and details will be announced on the next “ What’s New in August “. Copyright © 2019, Hong Kong Distance Runners Club HKDRC.